Across the road from the Billings was this castle. Well it looked like a castle, in fact the nice reporter who, in 1921 while working for the New York Tribune, explored the upper reaches of this large out cropping of schist called it a "Norman structure, with its narrow windows and stone towers". So nice it was, it warranted it's very own post card. 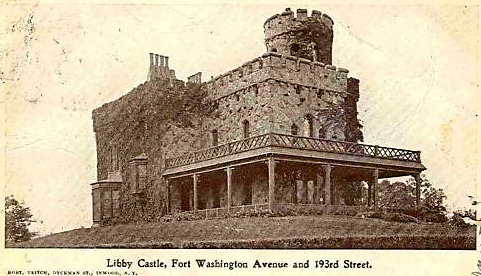 What it was called, according to the postcard, it was the Libby Castle. The "castle" had a larger claim to fame however as it was home to William Marcy Tweed, the Tammany Hall boss. This is a later than the postcard picture, quite possibly very close to the end of the castle's existence. 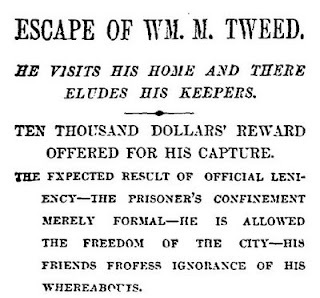 Tweed was living there when he was finally arrested for his unbridled corruption and fled from there to Spain. The land on which it stands was purchased in 1846 by Lucius Chittendon, a merchant from New Orleans whose name is all over the 1867 map, who got ninety-seven acres for $10,000. Angus C. Richards, another name all over the map (as A C Richards) bought a piece of the ground in 1855 and erected the castle, which in 1869 he sold to General Daniel Butterfield, who was acting for Tweed. This is William Magear Tweed, a member of the Odd Fellows and the Masons, a volunteer firefighter, certified as an attorney, Commissioner of Public Works and the ring leader of one of the biggest centers of corruption ever to befall our great city - Tammany Hall. 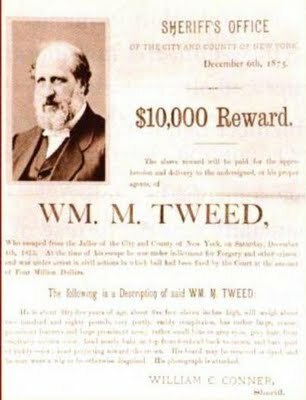 It had been said that Tweed put through Fort Washington Avenue and the Boulevard (Broadway) and Lafayette Boulevard which is now the Riverside Drive that feeds on to Dyckman Street from the Henry Hudson Parkway (part of which had been Riverside Drive). The reason he had these streets constructed was that Tweed wanted easy access to his home. Traveling up to what I have called Manhattan's border with Canada back in the post Civil War 19th century New York was not as easy or as fun as it is now. My street, west 104th between West End Avenue and Riverside was a dirt road until the early 1890's so one can imagine that streets up there were still on the back burner in regards to paving, sewers, waterlines, things of that nature. However, poor Boss Tweed. 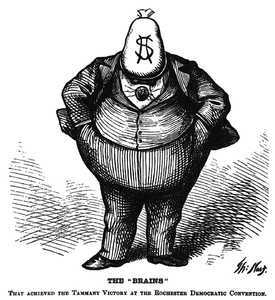 The New York Times and the father of American political cartoons Thomas Nast were after him and caused a great deal of trouble. With such biting images how could he have not avoided trouble? Especially with that pesky New York Times turning down a $5 million bribe to not publish their findings of corruption and Harper's Weekly investigating why plastering at the new court house (which took 15 years to build) cost many thousands of dollars more than it was supposed too (kind of like the $600 toilet seat on the B-1 Bomber back in the '80's). He didn’t enjoy the castle for too long due to his legal entanglements. After serving a year in prison he fled to Spain in 1875 to avoid a civil suit brought on by New York State in an attempt to recover $6 million in embezzled funds. Only $6 million? They were being nice. 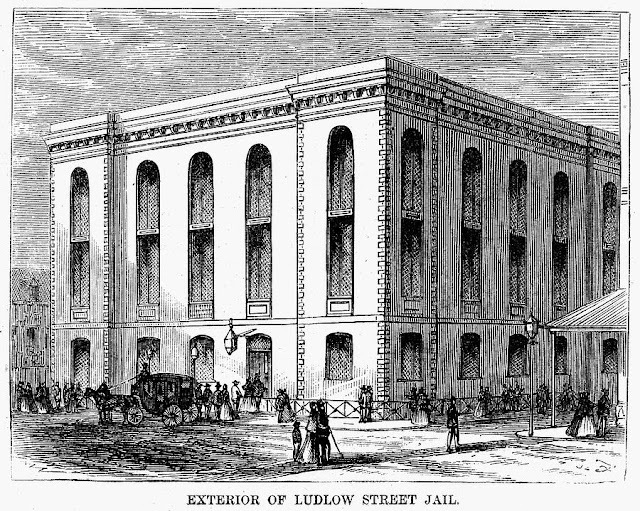 Tweed had been allowed home visits and normally lived at the Ludlow Street Jail. 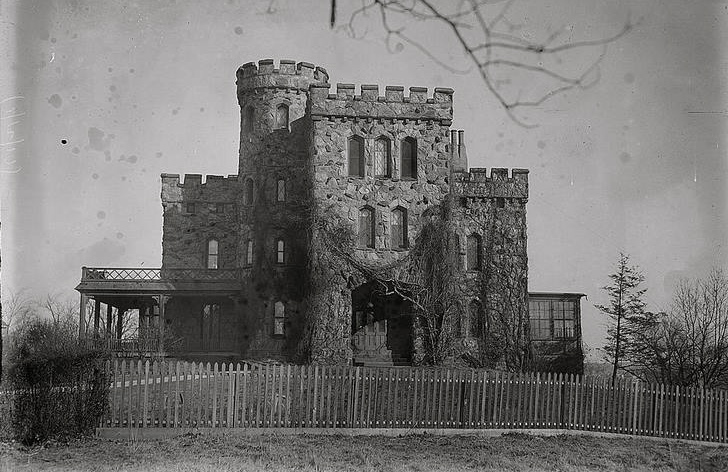 The castle was in foreclosure as Tweed's son was behind in paying A.T. Stewart, the department store king. Tweed had put the names of various properties in the names of relatives, this house and his Metropolitan Hotel. Tweed, or should I say Tweeds, owed Stewart for the furnishings of the Metropolitan Hotel and the property is eventually lost. However, incarceration was not for Mr. Tweed. As such a recognizable figure (after all Thomas Nast drew his portrait too many times) and even with all the scandal surrounding him, too much to go through here as there are entire books on the subject of Tweed and his shenanigans, he still had friends in high enough places in the business of law enforcement that saw no reason why this man should not be allowed out on weekends. After all, it wasn't like he killed anyone. Sometimes the best intentions of mice and men go badly. Not wanting to pay the only $6 million the State was looking for, not having the $6 million the State was looking for, nor having any more desire for the structured life of prison, Mr. Tweed skipped bail. None of his friends knew where he could have possibly gone off to. However, one resident of Tubby's Hook did know. When this particular resident of the banks of the Spuyten Duyvil Creek first appeared in the area is lost to the ages. He was living alone in a house on the banks by 1875. An anti-union "boatman", Civil War veteran and retired firefighter this man would become the unofficial mayor of the marshy shallows of the area then called “Cold Spring.” He had a couple of aliases, he was probably from the City of Brooklyn as he is listed as "Boatman" in the 1889-1890 Brooklyn directory. 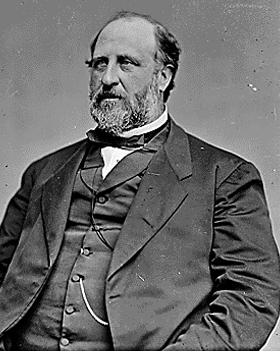 His name was Andrew Jackson "Pops" Seeley and rowed the about to be fugitive, William M. Tweed to a Spanish ship where he worked as a common seaman and eventually ended up heading to Spain. He almost made it into Spain but those darn cartoons came back to bite him; he was recognized from Nast's political cartoons and was turned over to an American warship which delivered him to the authorities in The City of New York on November 23, 1876, and he was returned to prison. Tweed knew the jig was up, he had lost. 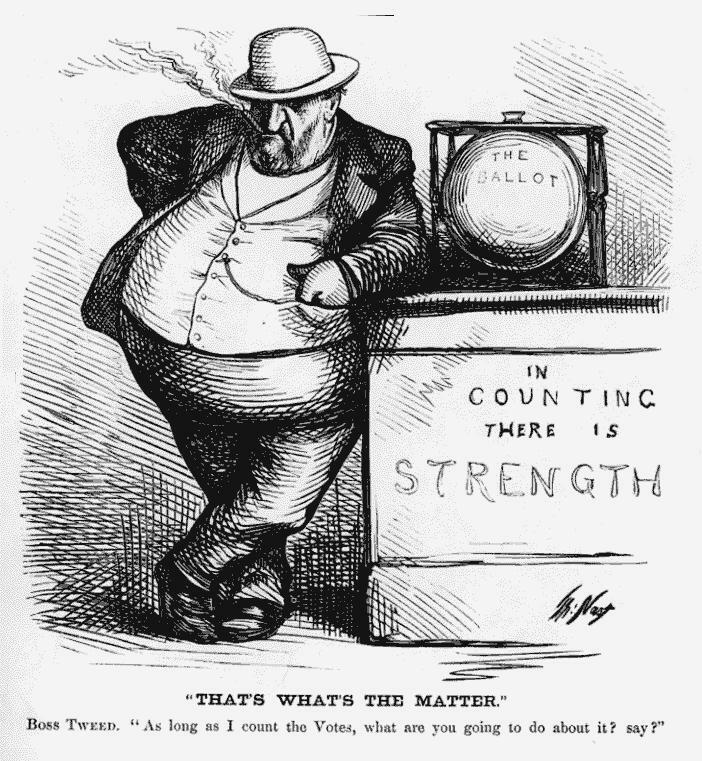 Broke, broken and desperate he now agreed to "turn state" about the corruption ridden Tammany Hall to a special committee set up by the Board of Alderman, in return for his release. 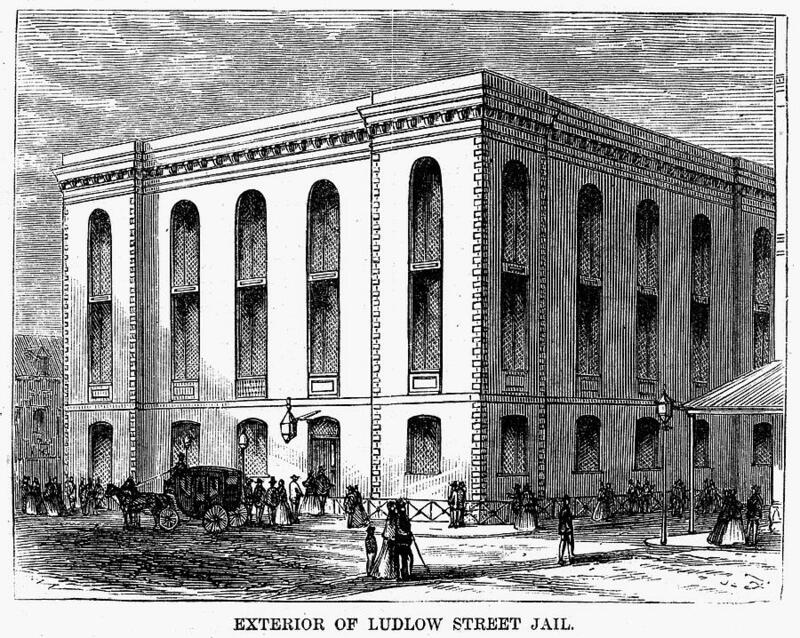 However Governor Tilden refused to stick to the agreement, and Tweed remained in the Ludlow Street Jail where he died on April 12, 1878 from severe pneumonia and was buried in the Brooklyn's cemetery hot spot Greenwood. The Mayor at the time, Smith Ely, would not allow the flag at City Hall to be flown at half staff.